Review - ShareTea - Does My Bomb Look Big In This? When I first started drinking bubble tea or ‘boba’ in 2012, it was something of a novelty here in Sydney. Despite being developed in Taiwan back in the 1980s, it didn’t really hit peak popularity here in this town until the last few years. 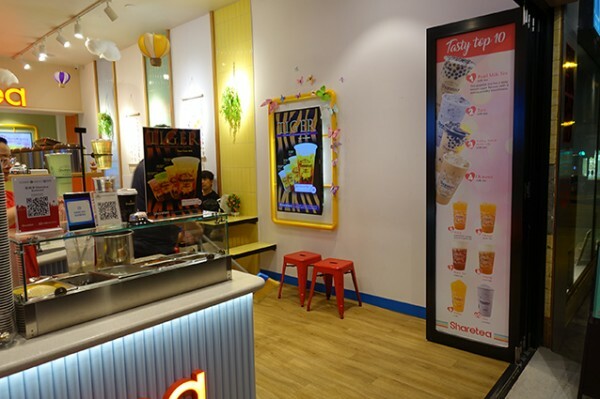 ChaTime – the first place I tried it - did most of the heavy lifting in Sydney, though in the ensuing years, I’ve reviewed a good collection of bubble tea outlets from PresoTea, King-T and Gong Cha to the super-pretty PaletTé. 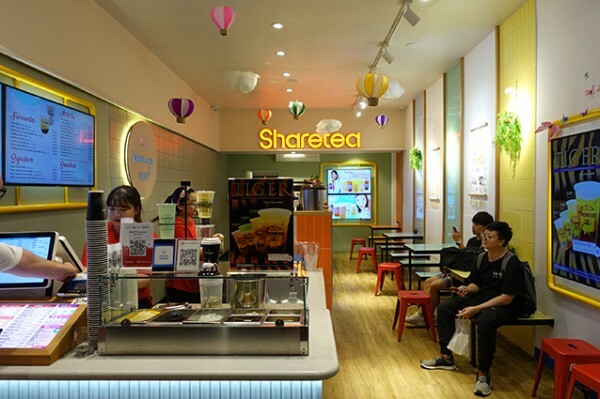 ShareTea is another of the big Taiwanese chains with outlets all over Sydney. 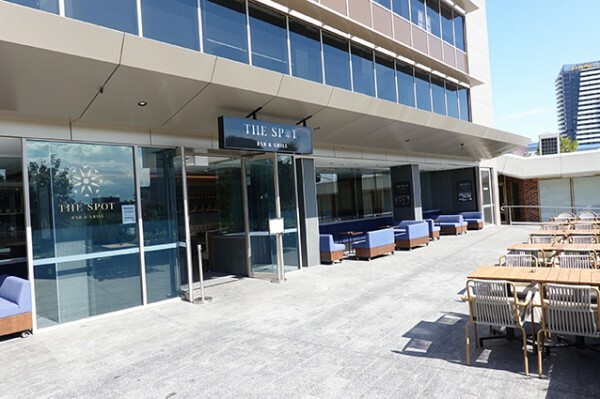 I recently discovered their candy-coloured Burwood branch when I was cruising the main drag at 11pm, craving something sweet after a fiery hot pot adventure. 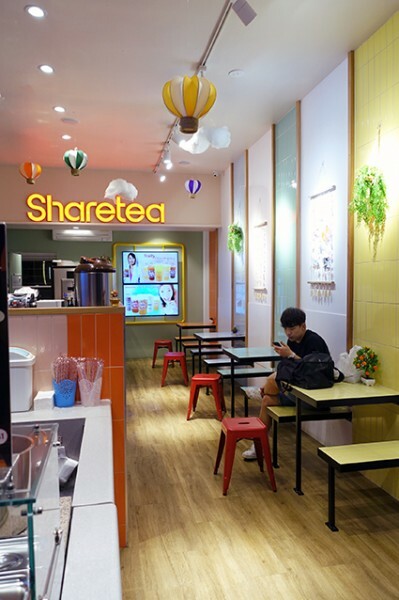 A little bigger than some of the hole-in-the-wall outlets I’ve visited, ShareTea Burwood offers up stools and pastel-tiled tables to consume your icy beverage. While at first the array of choices was bewildering, these days I’m remarkably adept at knowing what to order. ShareTea Burwood do help you out with their top ten drinks illustrated on their front door. 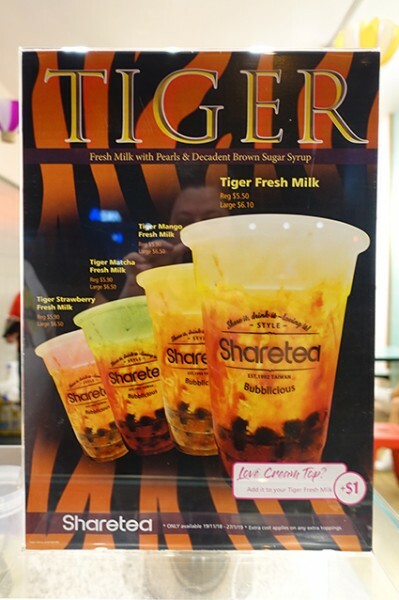 Their point of difference is their Tiger Tea ($5.50) which combines fresh Australian milk with brown sugar syrup and those chewy tapioca pearls that I’ve grown to love. Not craving dairy or anything quite so sweet, on this visit I went straight for the fruit teas. 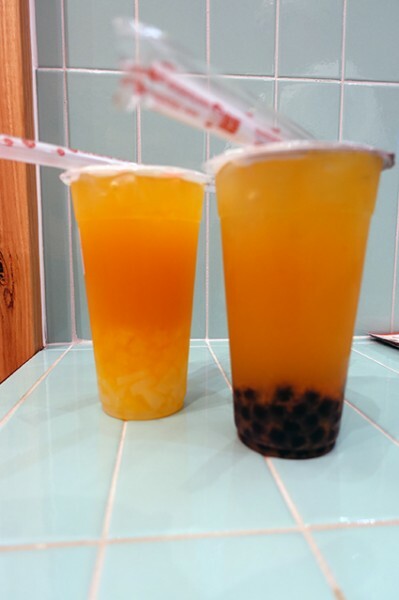 Starting with a base of Mango Passionfruit Green Tea ($5.30) I amped up the texture and dessert-like qualities of my drink with Mango Jelly ($0.60) and Lychee Jelly ($0.60), while reducing the sugar to 30%. The resulting drink was sweet without being cloying, though in retrospect I should have knocked out sugar completely to balance the jelly and syrup sweetness. 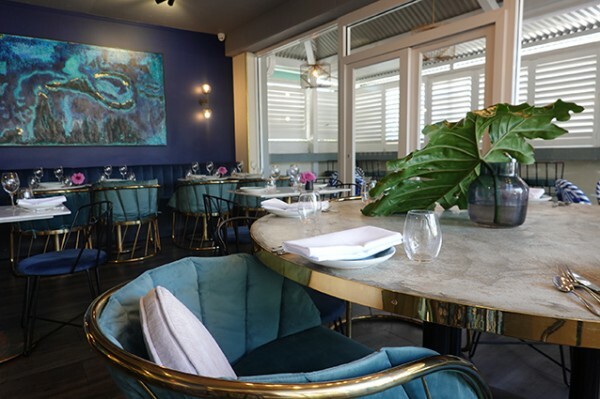 The jellies had particularly nice bite, even so late in the evening. Passionfruit Orange and Grapefruit Green Tea ($5.30) was even better, and because of the tart grapefruit, reducing it to 30% sugar was bang on with this drink. For this one, I went with the standard black tapioca Pearls ($0.60), and enjoyed their chewy texture. My only critique of these drinks is the tea flavour was secondary to the fruit; I prefer to know I’m drinking green tea. 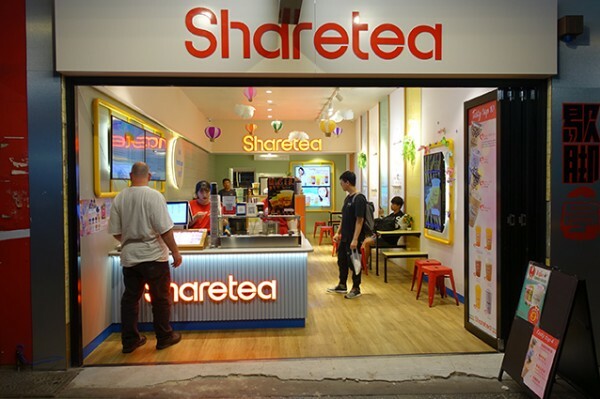 Ice is also fully customisable at ShareTea, and as I pointed out earlier, they’re open late.